Hi . Welcome to our website ! This site was created to provide information on VIP Tennis TIPS . Select only "value" tennis TIPS with odds 1.7 - 2 or more. Also included FREE VIP Tennis TIPS , all you need to subscribe to the free newsletter. Free and paid vip tennis tips and betting on sports. From the beginning of the tournament to participate in Wimbledon Rafa Nadal it was evident that the Spaniard will then cast - Set slivale Rosol lost, just lost a set Kukushkin. Rafa though twice won Wimbledon in 2008 and 2010, but it did not cover it explicitly. 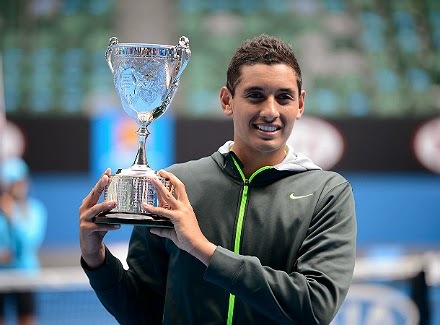 Australian Nick Kyrgios true grass tennis player, he grew up and trained primarily fast courts - it's his favorite surface, he plays a deep back line opponent - which is very inconvenient, delivers excellent - a lot of aces, he can play low balls - which is important for grass. In general, it sharpened his game under the fast courts with low bounce. After analyzing these facts it is safe to put a bet on a betting exchange Betfair is set Kirgios Win - YES at 2.62 or is the tip (Lay) against Rafa 3-0, which means that Nadal wins 3-0, or a majority of bookmakers is handicap sets Kirgios +2.5 set.